As a post-operative breast cancer patient, I waited six years to obtain breast reconstruction. 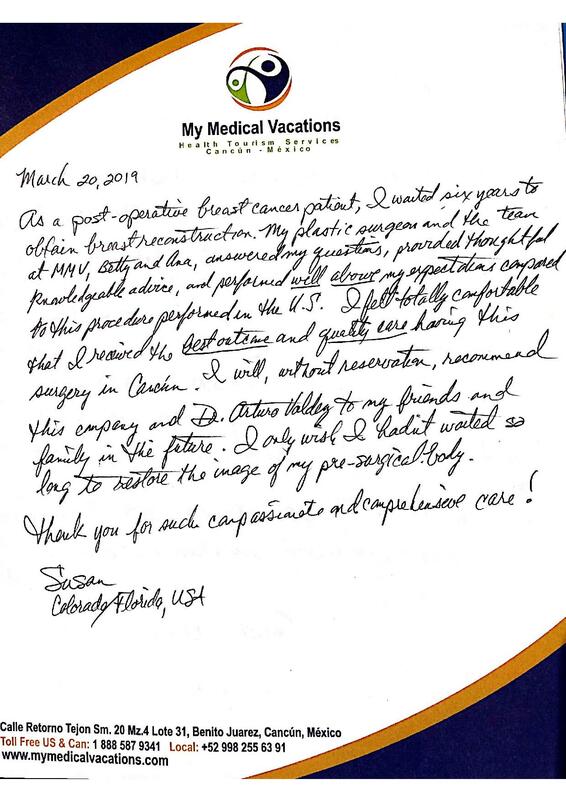 My plastic surgeon and the team at MMV, Betty and Ana answered all my question, provided thoughtful prouledge able advice, and performed well abrupt my expectations compared to do this procedure performed in the U.S. 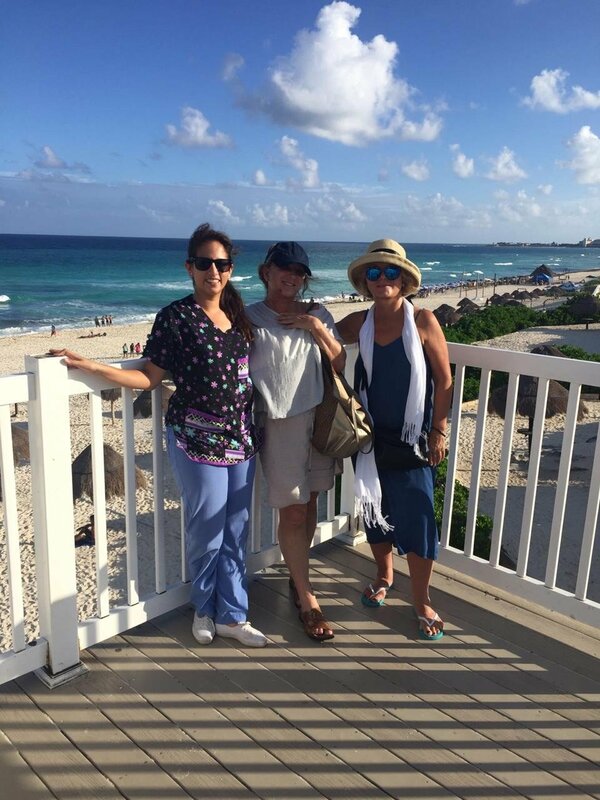 I felt totally comfortable that I received the best outcome and quality care having this surgery in Cancun. I will without reservation, recommend this company and Dr. Arturo Valdez to my friends and family in the future. I only wish I hadn’t waited so long to restore the imagine of my pre-surgical body. Thank you for such compassionate and compressive care!